Provincial opposition to the federal government’s imposition of a carbon tax continues to grow, and local conservative politicians are witnessing a groundswell of grassroots support for a fight with Ottawa over the initiative. In Alberta, the NDP government of Premier Rachel Notley has already instituted a provincial tax, but this may be one of the first policies to fall under the axe if a UCP government under Jason Kenney is elected in 2019. 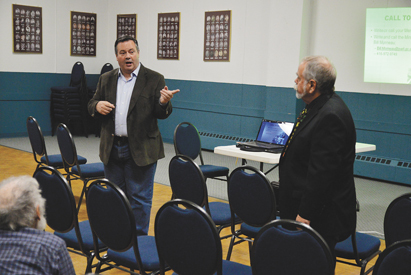 Crisscrossing his riding over the summer, Bow River MP Martin Shields reports constituents are not pleased with the idea that Prime Minister Justin Trudeau’s Liberals are still pushing for a federal carbon tax model for all provinces. For Cardston-Taber-Warner MLA Grant Hunter, Doug Ford’s electoral win in Ontario will be a boon for provincial opposition to the federal carbon tax plan. Ontario is promising a constitutional challenge to the initiative, and earlier this month Saskatchewan revealed the legal arguments it plans to use to assert its view that it can’t be forced to comply with Ottawa’s environmental policies. Recent changes to the planned subsidies for industrial heavy emitters announced by the federal government have been widely interpreted as a signal of limited retreat, but this is being disputed by economists and climate experts. Shields suggested this “backpedaling” on the part of the federal government may lead to further watering down of the federal initiative, or perhaps even seeing the idea scrapped in the near future. However, others are arguing the controversial plan may become a key battleground in an upcoming federal election in 2019. Hunter was noncommittal about how the UCP might approach environmental issues, suggesting the party is currently in the process of formulating its platform in the lead up to a 2019 provincial election. Currently, the federal carbon tax won’t come into effect until January 2019, and then only in provinces that have not introduced their own systems of carbon pricing. While cautious in not revealing what a UCP government’s approach to environmental policy in the absence of a provincial carbon tax might look like, Hunter suggested that provincial opposition to a federal carbon tax will only continue to grow. While not currently official UCP policy, Hunter believes enhanced innovation will be the key to effectively approaching climate challenges. Although equally vague about how the federal Conservatives would approach environmental policy without the imposition of a carbon tax, Shields also signaled that an emphasis on innovation would be part of the solution. Provincial opposition to the federal initiative will only continue to grow larger, argues Shields, while asserting that a continued federal hardline over this issue could cost the Liberals dearly at the polls in an upcoming 2019 federal election.